The Rolex Sea-dweller evolved from the Rolex Submariner in the late 60s. 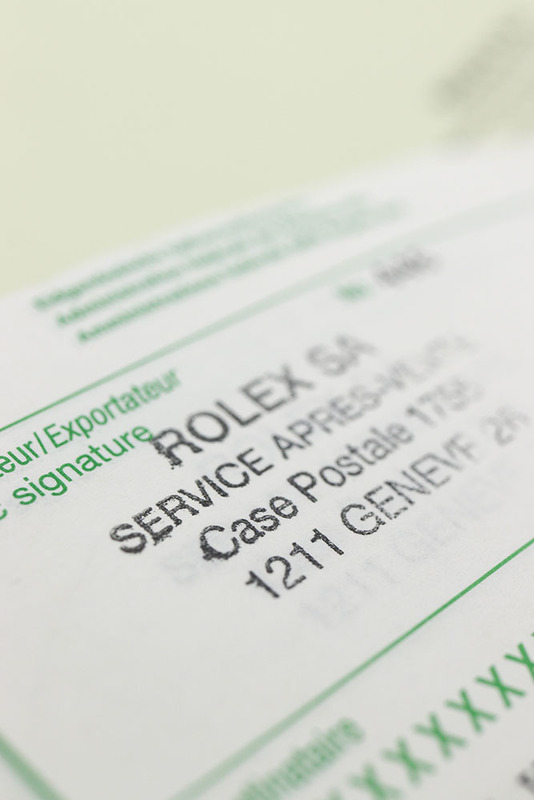 Rolex worked closely with COMEX, a French commercial diving company during these years. The divers of COMEX worked at great depths on dangerous assignments and therefore placed heavy demands on their equipment. 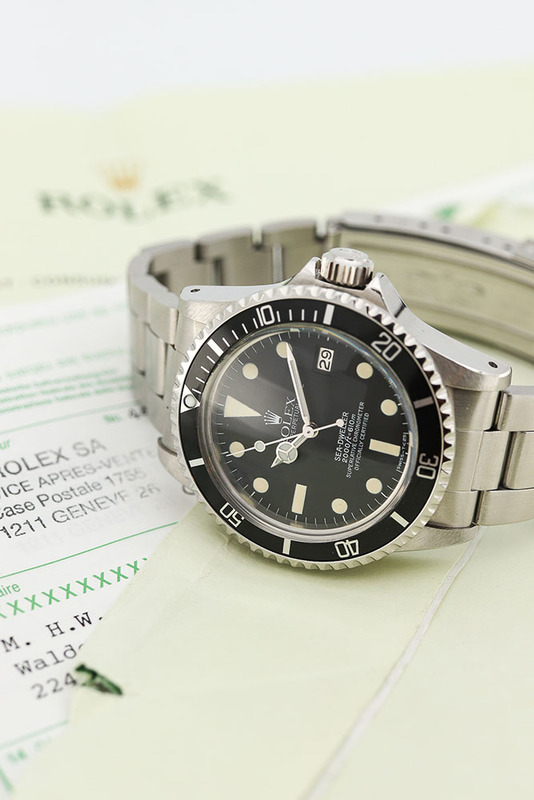 At a certain moment, the COMEX men discovered that the Submariner was no longer sufficient. What was the case? 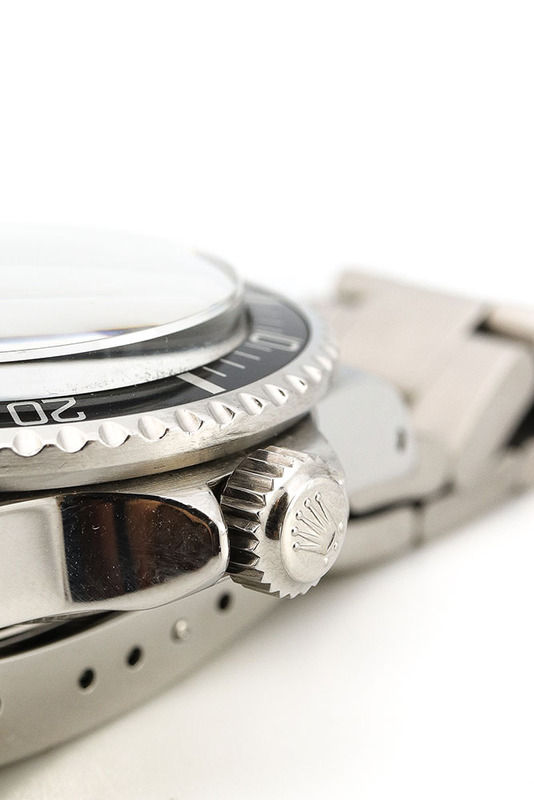 When diving with diving bells, helium could come into the cupboard under great pressure. However, if one rose again and the pressure became lower, this gas could cause the watch to “explode”. 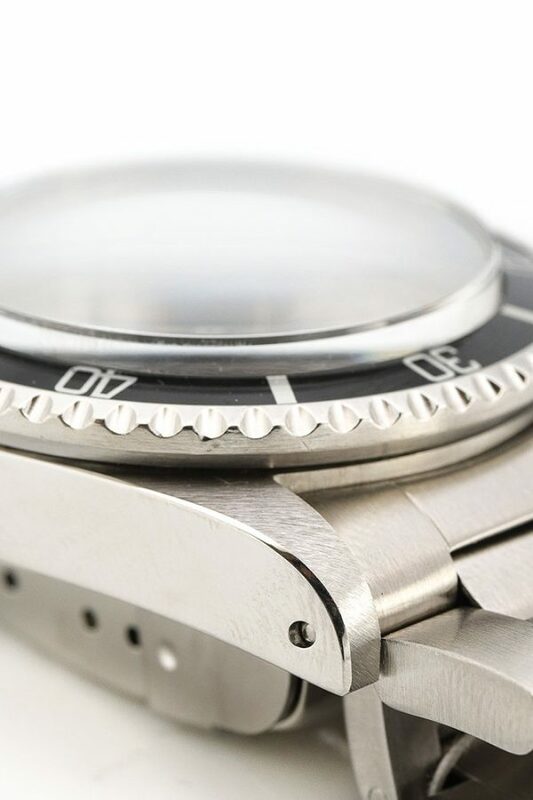 A solution has been found in the helium valve: this valve opens as soon as the pressure inside the watch is higher than that outside which allows the gas to escape. The first watches equipped with such a helium valve were modified Submariners of the reference 5513. 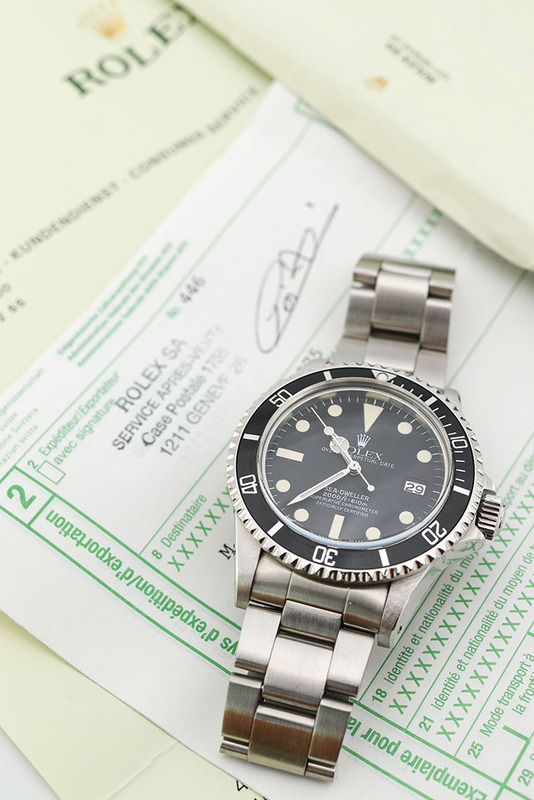 These were only supplied to COMEX divers and were used to test this new technology. 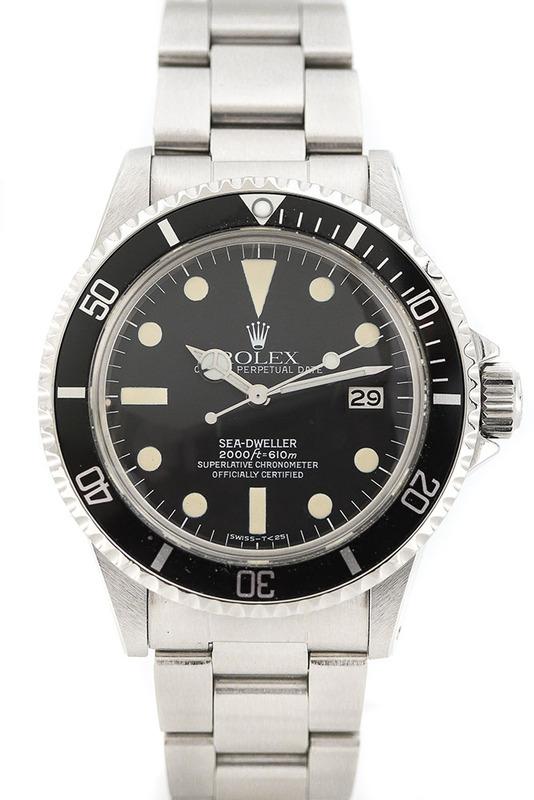 This was followed by the 5514, a specific Comex reference – without a date, with a helium valve. 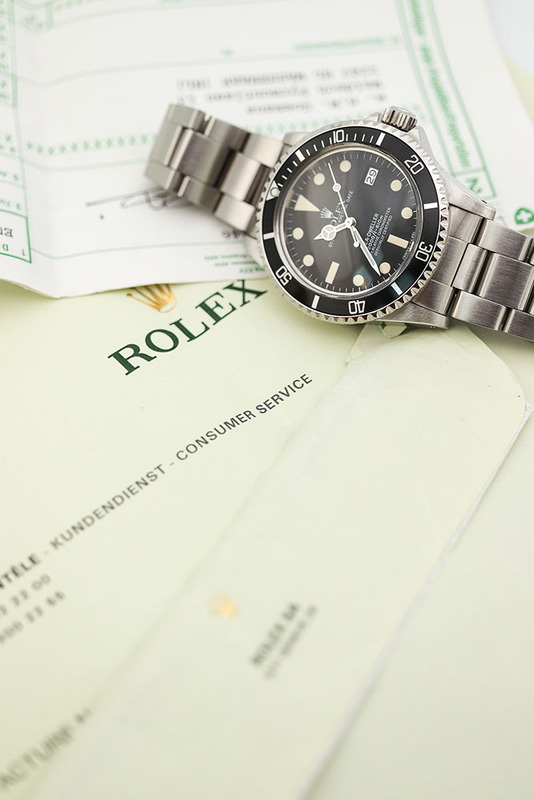 The first Rolex with a valve that was available to the general public was 1665. The Seadweller 1665 that we offer you here is a particularly beautiful item. 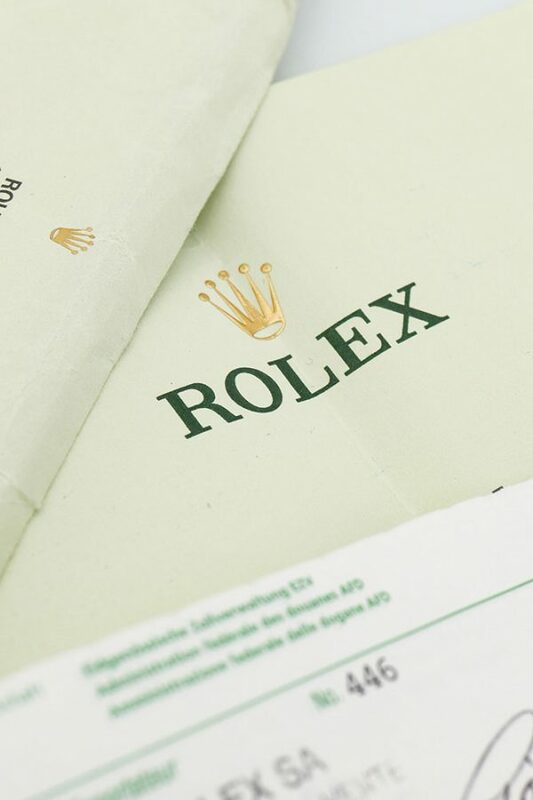 Serviced by Rolex , so it comes with the service papers, the case is razor sharp! 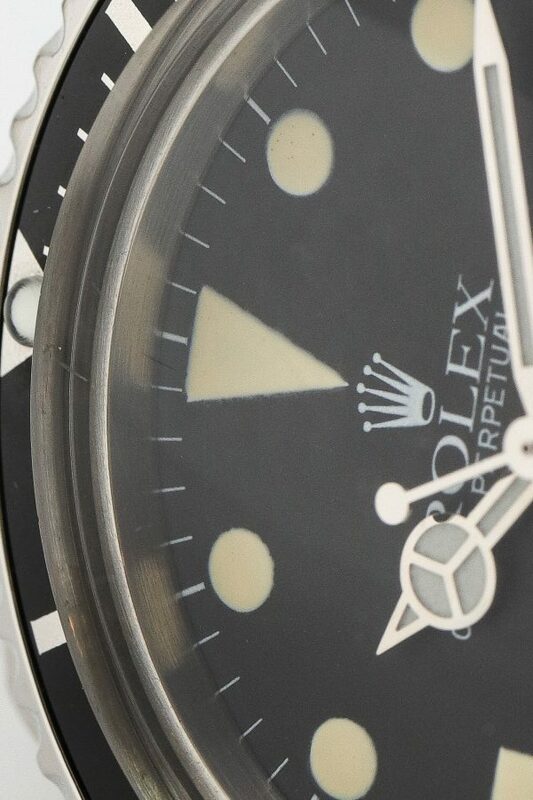 As an enthusiast, we like the creamy colour of the markers, something that really watch connoisseurs prefer to see. In short, this is the “real vintage deal”. 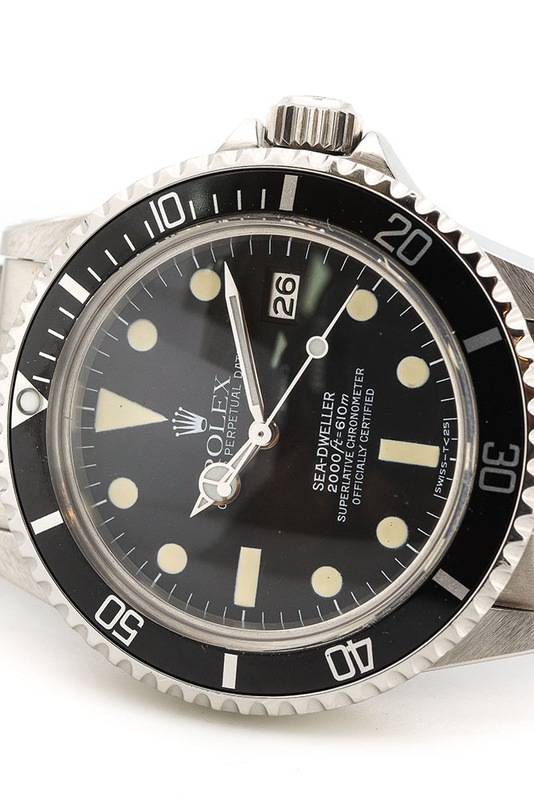 This Rolex Seadweller is a collector’s item. Thicker than the Submariner, with a date but not with the characteristic “date coupon”. 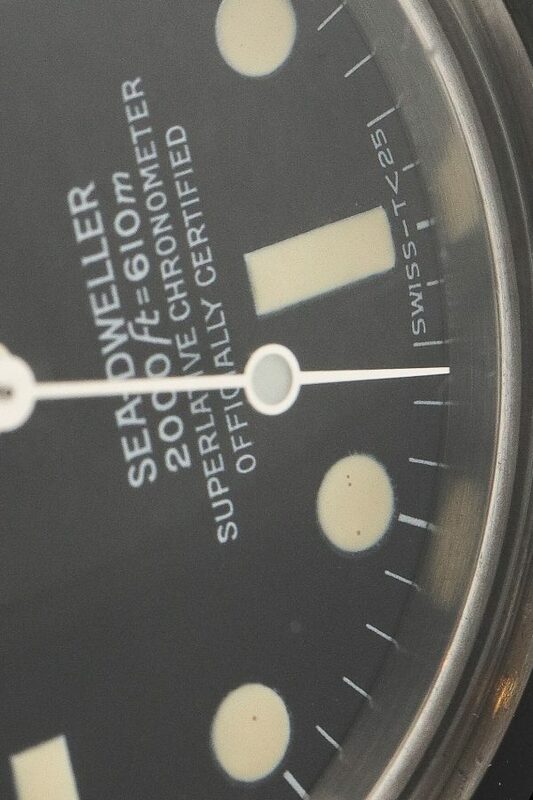 Are you interested in this amazingly beautiful Sea-dweller and can you appreciate the original condition? 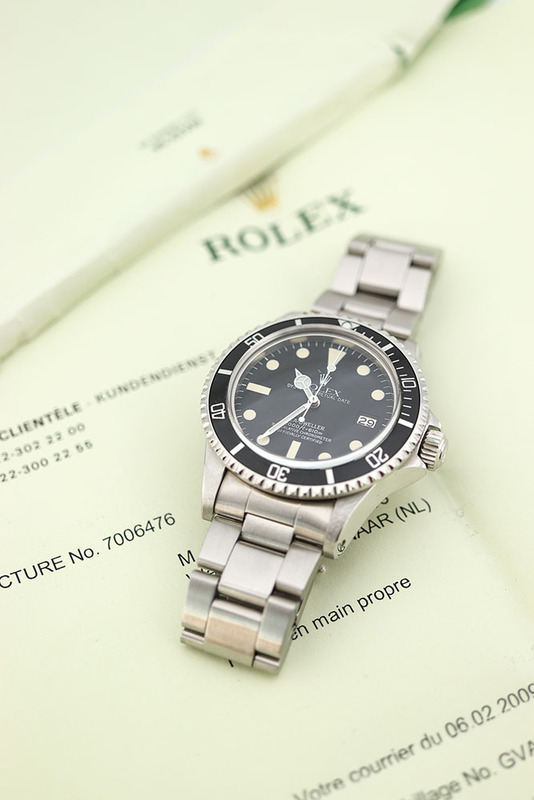 Then stop by Reestraat and we will tell you all the secrets of this watch. Tags: 40mm, Tritium, Service Papieren.